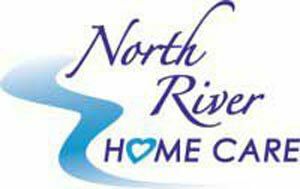 North River Home Care is owned by a daughter and mother. From our own family experience, we know how difficult it can be to care for an aging family member at home. We also know the peace of mind that the right caregiver can offer. We provide loving, compassionate, professional care which allows an independent, dignified life in familiar surroundings. Services: Companionship, light housekeeping, laundry, meal prep, errands, transportation, and more. For those needing a little more help, our Certified Home Health Aides assist with bathing/showering, dressing and grooming, toileting/incontinence, feeding, mobility (transfers and exercises), medication reminders. We have a rigorous hiring process and comprehensive training. All our employees undergo extensive background checks, integrity surveys, and on going specific training for: fall prevention, Alzheimer’s, Parkinson’s, osteoporosis, nutrition. Hourly, up to 24 hours a day, we work with you to customize a care plan that makes the most sense for you and your family. Things that set us apart: Every case is supervised by an RN with on site spot checks. Telephony software – we know real time when caregiver arrives and departs. Scheduled family communication program, we tell families how their loved one is doing in a scheduled formal process. Free in home evaluation and safety check. Please call us at (781)878-0300.